Rehearsal dinners kick off the wedding weekend, so it’s not surprising you want to look your best on the eve before you serve as a dutiful bridesmaid or wedding guest. Unlike the big day itself, rehearsal dinners generally have much less direction when it comes to suggested attire. 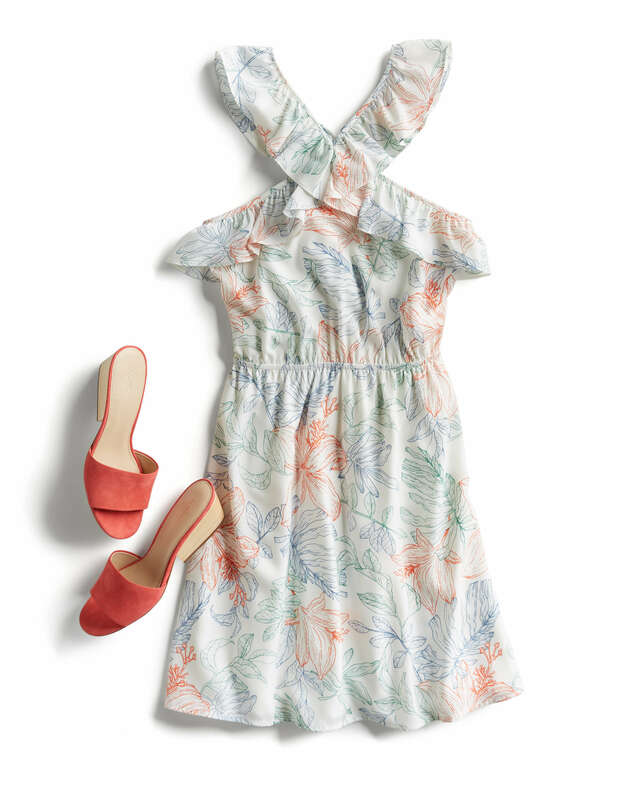 See our Stylist tips on what to wear to a rehearsal dinner or lunch! If the rehearsal dinner is formal, don’t feel like you have to buy something new Your trusted LBD is the perfect pre-wedding choice. Enhance your dress with an oversized statement necklace or embellished hoops, then finalize with a pop-of-color pump that coordinates with your lip color for an extra-polished punch. If you prefer pants, couple a tuxedo stripe skinny pant with a crisp white button-down and fitted brightly colored moto jacket or blazer. Finished with oxfords or classic heels. 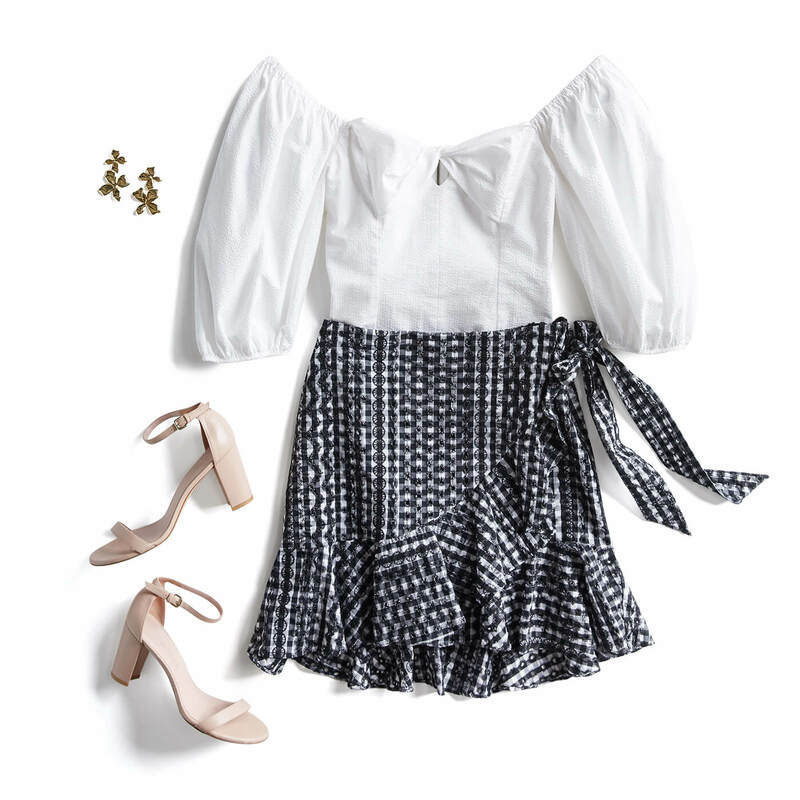 If the dress code is in between fancy and folksy, consider an off-the-shoulder sundress with strappy slides or espadrille wedges and an armful of bangles. If temperatures require warmer attire, front- tuck a printed blouse into a midi skirt and try it with a pair of mules. A casual rehearsal dinner can sometimes feel the most confusing, given the event itself is so special. In place of a dress, grab a jumpsuit or romper you love and partner your one-piece-wonder with on-trend accessories, such as a straw circle bag, platform heels or geometric statement earrings. If you’re headed to a BBQ banquet, pair your cherished cropped flares with a tie-waist blouse, open-toe block heel sandals and delicate layered necklaces. What kind of rehearsal dinner are you attending this season? Let us know in the comments!